eMerchant is a leading payment service provider offering eCheck Payment Processing solutions to all kinds of industries whether you are dealing in high-risk or low-risk. We offer eCheck solutions to the merchants if they are dealing in an online business. With eCheck payment processes, you can connect well with your clients as we offer virtual terminal, connect your customers through the phone as well as point of sale. At present, new sort of technology has assisted the businesses to receive payments through an electronic transfer also identified as e-check. If you are a merchant, you can receive fund straightaway into your account through the ACH or Automated Clearing House system. Get solutions for your businesses through eMerchant Pro services with eCheck processing! eMerchant Pro offers an inexpensive way to get a faster payment process through eCheck Payment Processing. Here the customers can pay the sum in an instant manner for the shopping done through an online process. eCheck makes the transaction easier for businesses to avail the payment from customers. There are several merchants who lack the flexible business transaction in payment means and thus there is a slowdown in business. But with eMerchant Pro payment solutions, the merchants have an easy eCheck Payment Processing solution to attract more and more customers to their web. Our flexible eChecks payment processes work as an option to the merchants besides credit cards facility. Thus, our eCheck processing works as a trusted payment solution for all the merchants seeking fast and secure facility. With eCheck Payment Processing, it becomes quite convenient for the merchants to get payment in an instant manner. The customers can log onto your web page and make their payment in an easy manner. This in return offers huge profit to the merchants and makes your relationship stronger with the clients. Thus, the merchants find easy solutions for their business transactions through eCheck processing means without hassles. 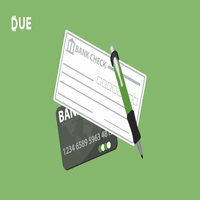 Electronic check processing provides several benefits. You do not need to go to the bank and nor it is required to deposit the slips and nor it can be stolen and you are paid faster as compared to credit cards or traditional checks. Through electronic checks, your customers can comfortably process the payment. The payment is processed in a speedy manner. Avail faster payment processes through eChecks solutions for flourishing business! Request Approval: The business requires gaining approval from the client to make a payment transaction. This can be processed through an online payment form, handset conversation or signed order form. Payment System: After approval is completed, the business provides the payment info into the payment software. If it is a recurrent bill, this info also consists of info. Settle and Submit: Once payment info is offered into the software, the business ticks Save or Submit option and begins with ACH processes. The payment is mechanically withdrawn from the client’s bank account, the online software sends a payment receipt to the client and the payment is transferred into the merchant account. The entire process takes place within 3-5 days after the ACH process is done. Make your payment processes work securely with eCheck processing solutions!